It's 4 years of age whereby children become interested in learning as much as possible. Help them grow by choosing the right developmental toys. Children encounter lots of word and math based learning at school. Exposing kids to too many will probably deplete their enthusiasm for learning. Sometimes kids at this age need a break from being bombarded by the alphabet etc. If you want to give your child the best learning toys for this age, think about choosing toys that encourage other avenues of thinking rather than basic school stuff alone. Although these toys are tempting from the parent's perspective, instead think about how to nurture their other skills. You can improve both their physical and mental skills with these toys. 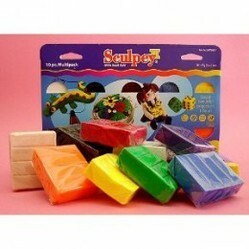 Let your child’s creative side run wild with this molding-clay based toy. Brightly colored and easy to mold and furthermore it's very soft and won’t dry up until you bake it. These molds can make almost any shape you like and they can be baked hard in the oven afterwards. Best used with adult supervision, they nonetheless encourage creative thinking. 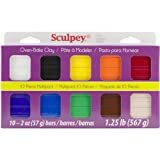 You can paint the clay after baking for even more creative activities, and there are loads of colored clay sets available in a wide variety of colors. Kids love the end result and are amazed at the change when the clay is baked. Best used in a warmer environment - the clay tends to get a little hard in cold conditions. For the really adventurous child, this set comes with 12 soft and smooth gel sticks, booklet, markers, glitters and special papers. Lots to do, and hopefully it will keep your child busy during the quiet hours, plus allow your child to explore their creative side. What adds to the fun is that even adults love to try creating beautiful art using the gel sticks and glitters. It's a great gift and a great means for your child to be more creative, perhaps making their own Christmas cards and letters. A lovely and inexpensive way in which to develop a child's imagination. This Totally Awesome art set includes an assortment of art and craft materials. At the age of three, kids learn to hop, skip and jump; at four, they want a bike. Now's a great time to give her her very own first bike, and one that she will use for years to come. This is a single speed bike that includes removable training wheels, a perfect toy for from age 3 to 6. It also has a removable backpack that attaches to the handlebar, which is a great place to store dolls and toys—knowing kids this age, they love to collect things along the way. From the first look, your daughter will love this Disney Princess themed bike. Besides the play value, it will teach balance and coordination, responsibility and safety awareness. Superb value for money, and a great way of learning how to ride a bicycle. Puzzles don’t just fascinate kids but adults as well. Your young one will derive a lot of satisfaction from this colorful and interesting Puzzibits toy. It is a creative toy that encourages your child's imagination, allowing them to make dozens of different shapes, figures and images. These are flexible rubber which will last for years and offer many different varietiesof child’s play. 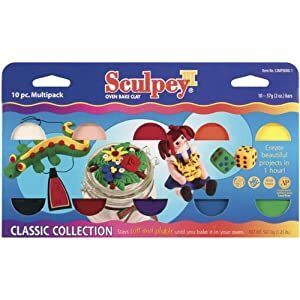 This will work well with girls as well as boys - they can make bracelets, crowns and all kinds of play jewelry with this toy. To be safe, don't buy this toy for any child under the age of four, as some of the parts are small enough to swallow.